We all strive to protect our skin from aging at all times. We are eating more fruits and being more conscious about what we put on our skin. 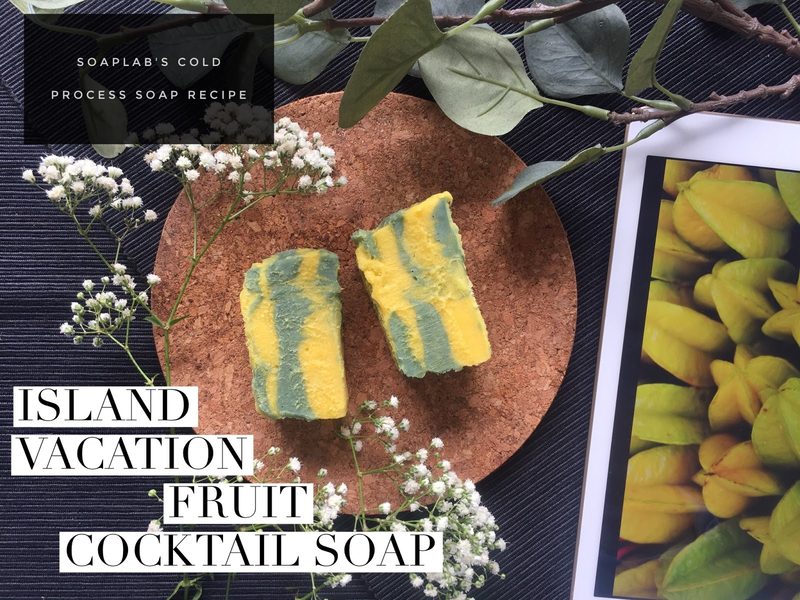 Especially for this purpose, today's recipe is an all natural cold press soap which helps combat aging and cleanses your skin gently for great skin. The mango butter in this recipe is a great antioxidant that prevents signs of aging such as wrinkles and nourishes for soft bouncy skin. We also include bergamot essential oil for its great cleansing properties. For those of you who don't know bergamot, is a plant that produces a type of citrus fruit and its scientific name is Citrus Bergamia. You may have noticed its refreshing citrusy smell when there's a cup of Earl Grey tea nearby. The scent itself is a brilliant stress reliever, just what you need after a long day at work. To give you a perk-me-up, we use mango and starfruit fragrance oil so you'll smell and feel wonderful all day.